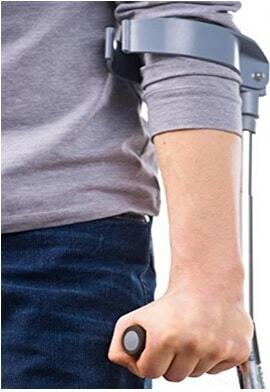 A portable walking aid to support the elbow. Crafted for Geriatric patients. 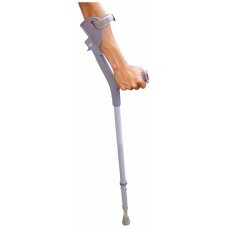 Impaired balance and injures the person to help them in walking. Change the peak of the highest frame as needed loosening the nut. Providing stability associated medical science support to the patient within the kind of an elbow crutch. Giving progressive support to associate orthopedical incapacity. ANS Yes, you can adjust the height. Q	Is it in pair? Adjust the size according to your hand. Special Feature Elbow crunch supports the elbow and the double folding handle made it portable and easy to carry anywhere.